Breakfast will be served in our sunny lounge / dining room and will consist of fruit juice, cereal, yoghurt, fresh fruit and a full English breakfast with our fresh free range eggs. 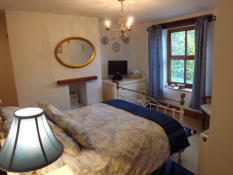 “Cornflower” is a lovely bright double room with very pleasant views across the garden and into the surrounding fields. It has a generous ensuite shower room. 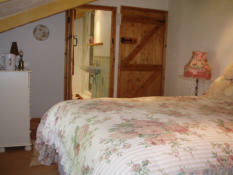 “Rose” is our second double room and has a lot of character with sloping ceilings and beams, with views over the rear courtyard garden and also comes with an ensuite shower room.